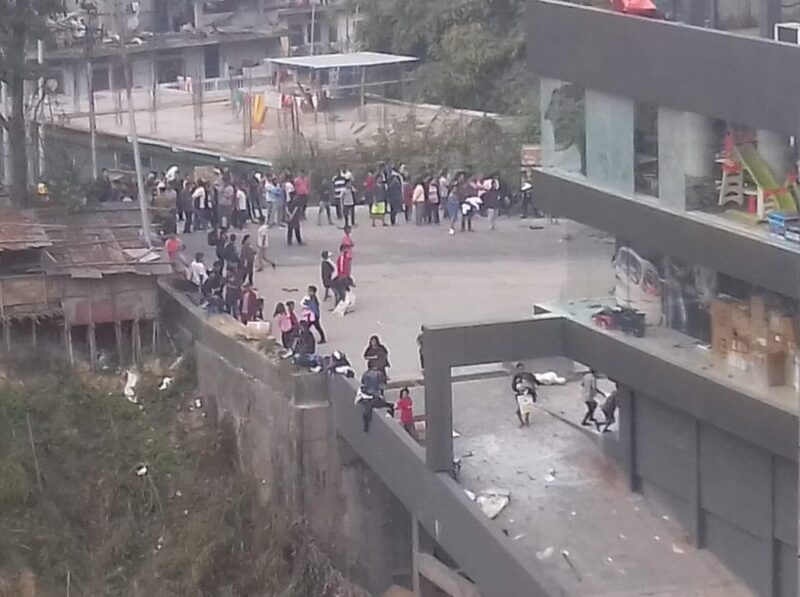 Situation continues to remain grim in the Itanagar and Capital Complex area as reports of clashes between the protests and security forces, malls being ransacked and set on fire continued to pour in from every corner of Arunachal Pradesh. Capital Complex consists of Itanagar, Naharlagun, Nirjuli and Banderdewa. Earlier in the day the protesters in thousands ransacked the residence of deputy chief minister Chowna Mein. 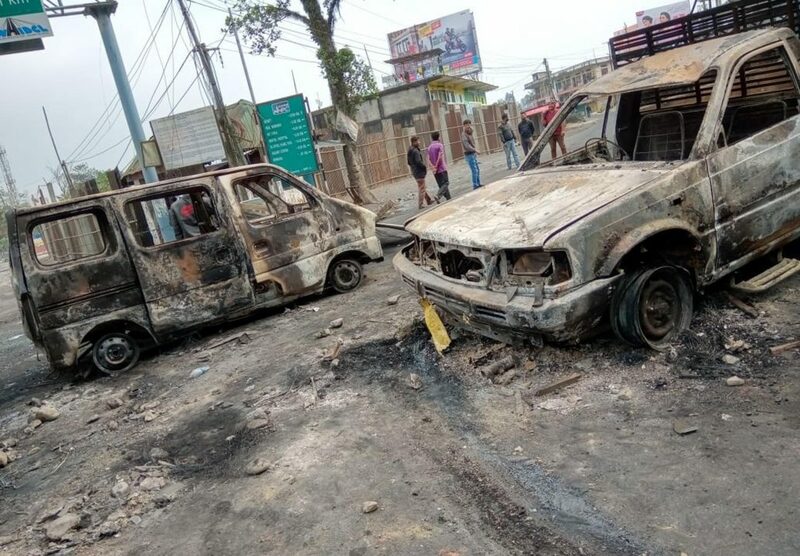 The protestors took to the streets at Itanagar in large numbers in protest against PRC for six non-APST communities includung including Deoris, Sonowal Kacharis, Mishings and Morans, who have been living in Namsai and Changlang districts. As they were headed towards chief minister Pema Khandu’s bungalow they were stopped by the security forces near the circuit office. The situation in front of the circuit office which is around 200 to 300 metres from the chief minister’s residence turned volatile when agitators started to pelt stones at the personnel on duty. The security forces had to resort to bursting tear gas shells before firing in the air to disperse the crowd. Later, police opened firing and three protestors sustained bullet injuries while several others, including security forces were also hurt in the mayhem. One youth (Biki Ruja) succumbed to his injuries later while two others are in a critical condition. There are reports of another protestor succumbing to his injuries. Even though the State Government had assured that the issue of PRC would not be taken up again protests continued to take place. The agitators are now demanding that the chief minister and deputy chief minister step down from their posts on moral grounds, the chief secretary be transferred and the ones arrested by the police be released at the earliest. Meanwhile, the chief minister has called for an emergency all-party meeting in the evening. Internet services were working during the daytime time but they have been suspended again. Meanwhile, the body of Risso Tari who was killed during the clashes on Friday was buried at the Tennis court near the IG Park. The BJP’s state office in Itanagar was also under attack till the filing of this report.